from usage of alcohol, marijuana, or and other recreational drugs. • Get involved Involvement in activities that make you happy. • Spending time with family and friends. • If you are a religious or spiritual person, talk to a clergy member or spiritual advisor. • Consider mMeditation, tai chi, or other forms of relaxation methods. • Adding omega-3 fatty acids to your diet. You can get them from, either in the form of over-the-counter supplements or by simply eating fish including omega-3 fatty acids rich foods (flax seeds, walnuts, sardines, tuna, salmon, mackerel, soybeans, tofu, shrimp, Brussels sprouts, cauliflower) in your daily mealssuch as tuna, salmon, or mackerel. If your depression occurs in the fall or winter months, try light therapy using a special lamp that is like sunlight. 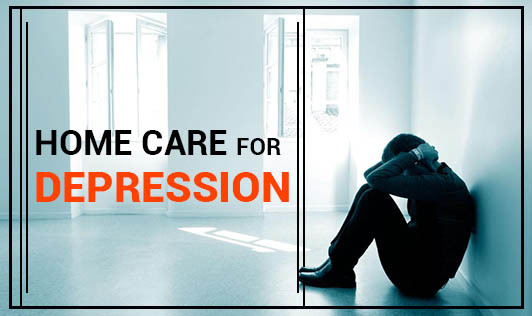 If you have moderate to severe depression, the most effective treatment plan will likely involve a combination of talk therapy, lifestyle changes, and medication. Prevention Healthy lifestyle habits can help prevent depression, and reduce the chances of it coming back. Talk therapy and antidepressant medication can also make you less likely to become depressed again. Talk therapy may help you through times of grief, stress, or low mood. Keeping close contact with other people is important for preventing depression.